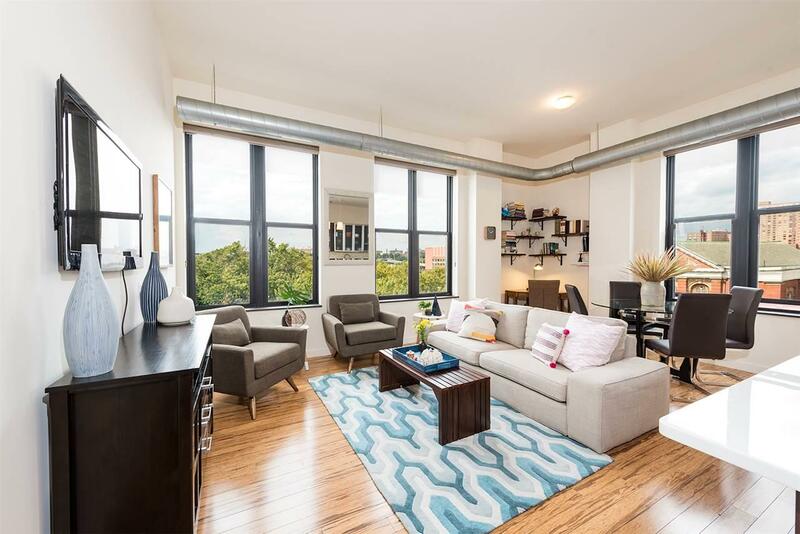 Located in the highly sought-after Hamilton Square Condominiums with Western and Northern exposures, this rarely available, bright, 2 Bedroom & 2 Bathroom condominium boasts direct views of the beautiful and historic Hamilton Park. Featuring 1291sf of generous living space, high concrete ceilings, central AC, washer & dryer, chef's kitchen with stainless steel appliances, bamboo floors and tons of spacious closets. Storage locker included with sale. Hamilton Square features full-time doorman service, several common outdoor spaces including a 6000sf roof terrace with BBQ grills, catering kitchen and viewing deck and a tranquil courtyard, advanced sound proofing, discounted membership to the on-site health club with a pool and indoor parking on a separate charge. The new owner of this home will enjoy tax abatement for another 17 years. A short walk to two PATH trains stations, Hamilton Square is located in one of the most coveted, charming neighborhoods filled with cafes, boutiques, tree-lined streets and historic townhouses.